The traditional start of the Supercars Championship endurance racing season is the Sandown 500. The Melbourne motor racing event held every September has a rich history as the curtain raiser to the nation’s biggest motorsport event, the Bathurst 1000. This event unveils the form of each team’s two-driver enduro combinations for the first time each season. The Sandown 500 is also widely popular as it is the Supercars’ Retro Round, where the teams present their cars and team personnel in livery designs that reflect the style of the sport from decades past. Penrite ensured that the Erebus Motorsport Supercar team with season racer David Reynolds and highly experienced endurance race co-driver Luke Youlden, were in keeping with the retro event theme through two major activations. Reynolds and Youlden’s Penrite Erebus Commodore Supercar was liveried in a retro white, red and blue as were the drivers. To ensure that Penrite gained the highest possible coverage from this event, the Australian company also sponsored the massive Sandown International Circuit Dandenong Road section bridge. The Bridge was liveried on one side with the current black, red and gold Penrite logo and the other side featured the red, blue and white retro logo. Both sides of the bridge gained outstanding national television coverage throughout the Sandown 500 race weekend. Of great importance to the 100% family owned company was to use this historic Australian retro-themed motorsport event to highlight the 91 year history of this very proudly Australian oil company. From humble beginnings in 1926, Les Mecoles, at the age of just 16, founded the Penrite Oil Company from his parents’ home in the Melbourne suburb of St.Kilda. His oil blends were manufactured from the highest quality lubricants available at the time from Pennsylvania (PEN) base stocks. 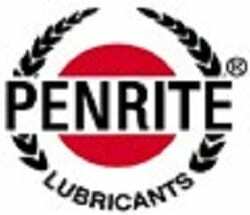 Only the right oils (RITE) would ever be sold to his local customers, hence came the name PENRITE, with its unique name gaining wide trust and respect for its quality. The Dymond family took over Penrite’s operations in 1979. Since then, they have proudly continued the company tradition of manufacturing premium quality lubricant products specifically for Australian motoring conditions. The Penrite Racing range of lubricant products can also be found aboard the Erebus Racing #9 Supercar of David Reynolds – the EXACT same lubricants that motorists and repairers can purchase themselves. There is no difference whatsoever, despite the extremely punishing engine and drive train demands of Supercar racing. These engine demands are particularly heavy at endurance events like the Sandown 500, the Bathurst 1000 and the Gold Coast 600. Penrite 10 Tenths Racing 5 is used for David’s engine, 10 Tenths non-glycol racing coolant for optimum thermal engine management and the Penrite Pro Gear range is protecting the gearbox and rear end of his Supercar. David’s brakes make use of Penrite Racing brake fluid, which is rated at over 600F. Everything the Penrite Supercar runs on is available on the shelf at your nearest Penrite stockist, making this the only team in the Supercars pit lane that doesn’t use special blends. 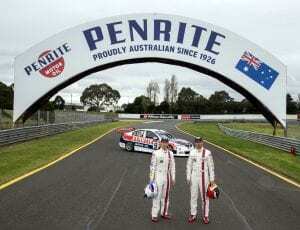 This major national Penrite consumer exposure continues at Mount Panorama from October 6 to 8 as Penrite is also the official lubricant partner for the nation’s greatest motor race, the Bathurst 1000.